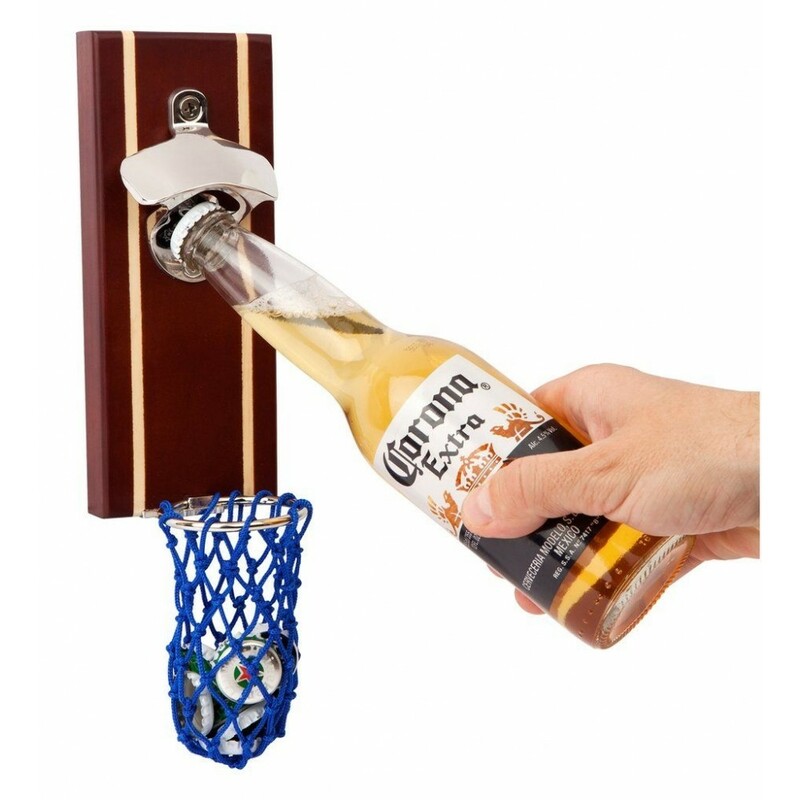 Pop some tops and score a point while you are at it with the Basketbeer. 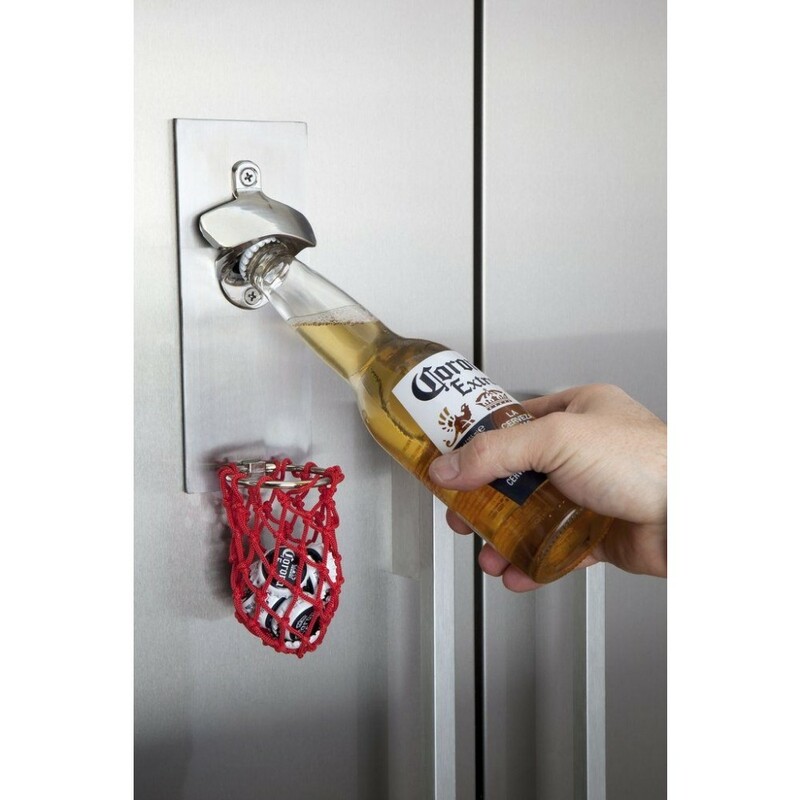 Place the back of the Basketbeer to the fridge and it'll be automagnetically held in place. If you are lucky, you may even get a swish without it touching the rim at all. 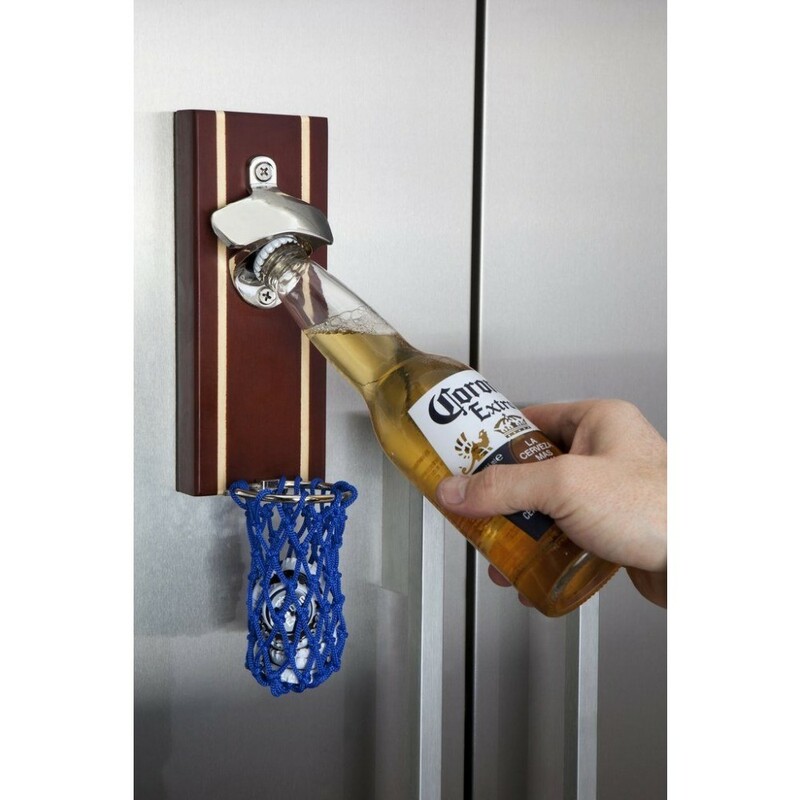 If drinking wasn't already considered a sport by some, it is now. 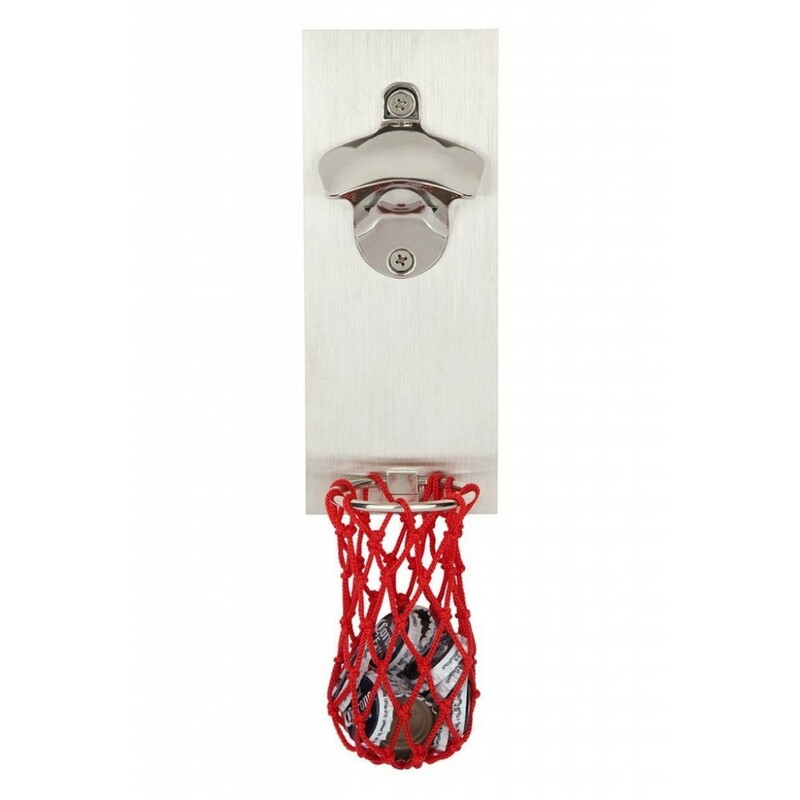 Comes in either Stainless Steel or Wooden versions. 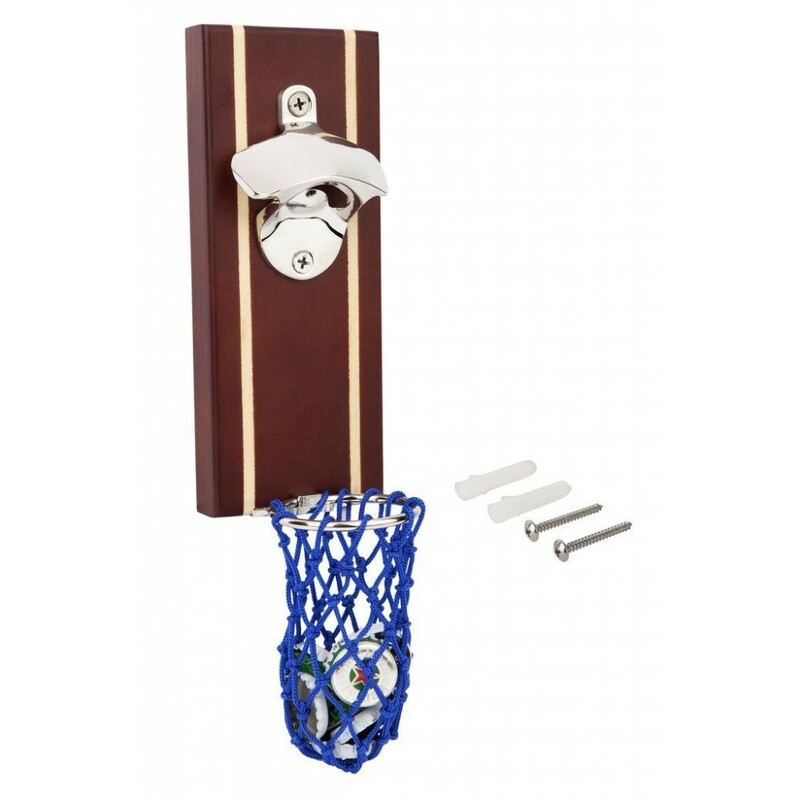 The wooden version also includes wall hooks recessed into the back so it can also be hung on the included screws/plugs.